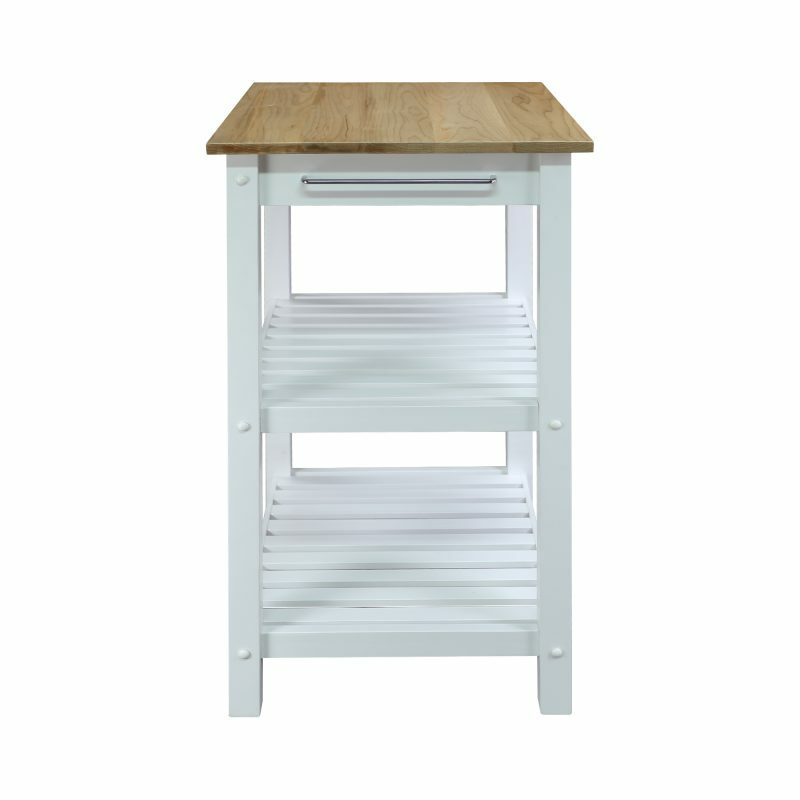 Designed for tighter spaces and those who value extra counter space, our American Trails Sunrise Kitchen Island (Small) with Solid Maple Top is the perfect companion to start any project in the kitchen. 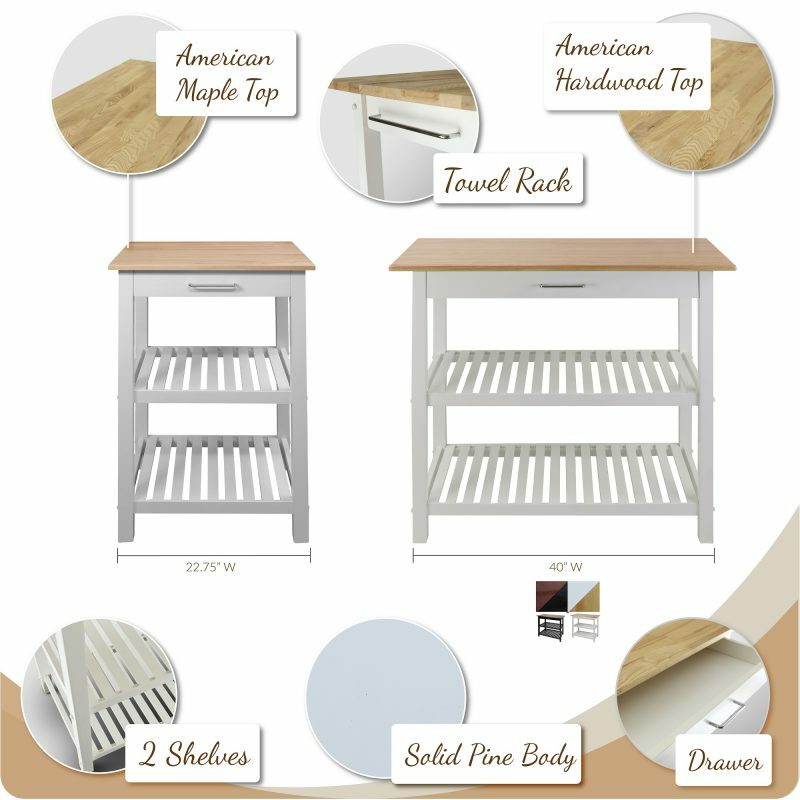 Its two-tone neutral color design gives it a modern appeal that highlights the natural beauty of the American Maple top while complementing any current home decor. 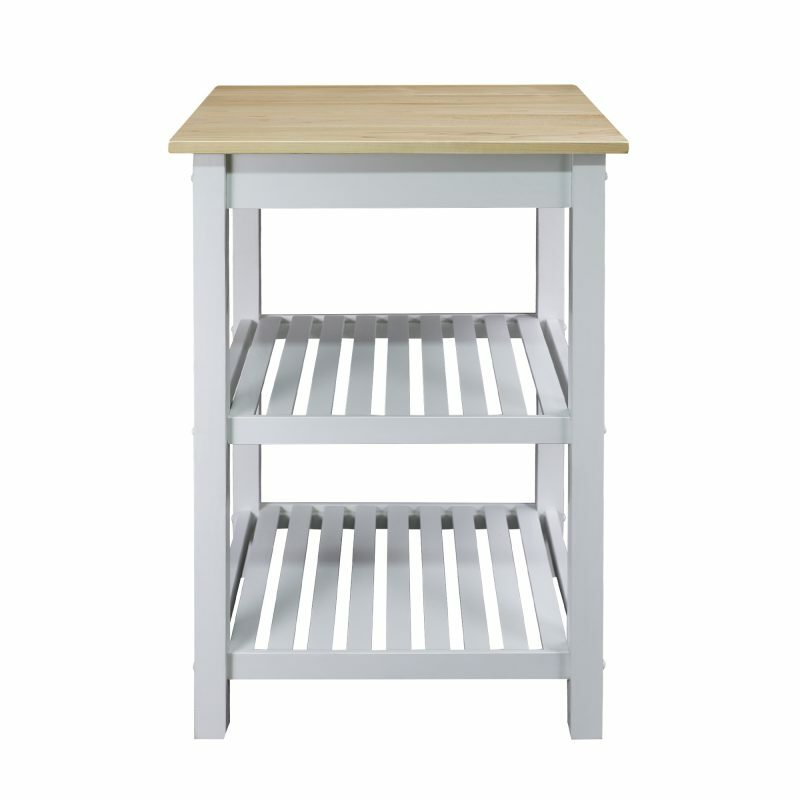 The smooth sliding drawer and 2 lower slatted shelves provide plenty of space to store everyday essentials or the supplies of today’s recipe or project. 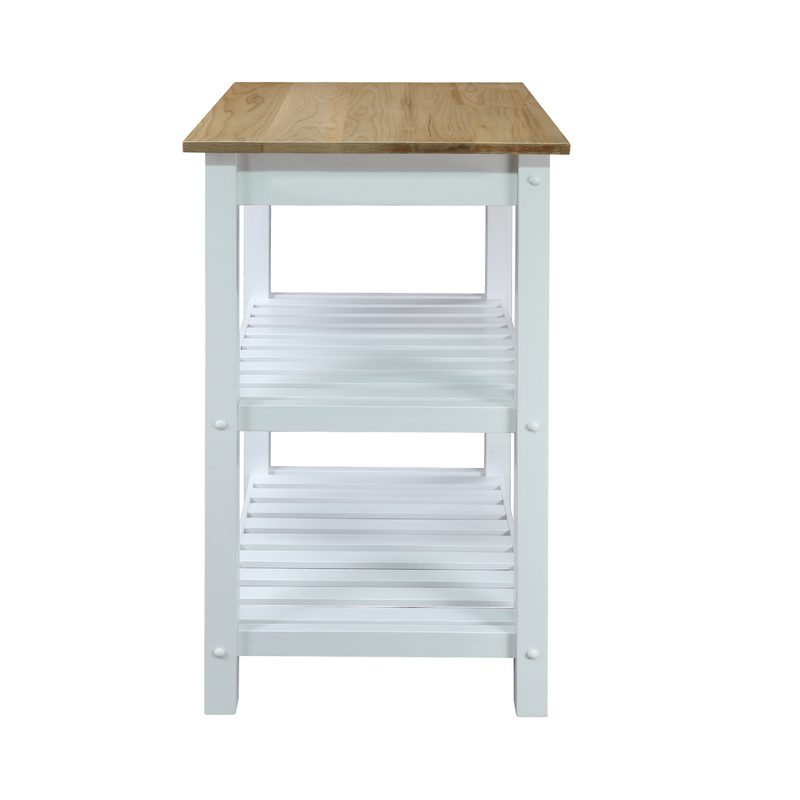 The side even features a stainless steel towel rack for convenient hanging or decoration. Solid American Maple and solid wood construction ensure a sturdy construction and years of lasting beauty that can withstand everyday use. 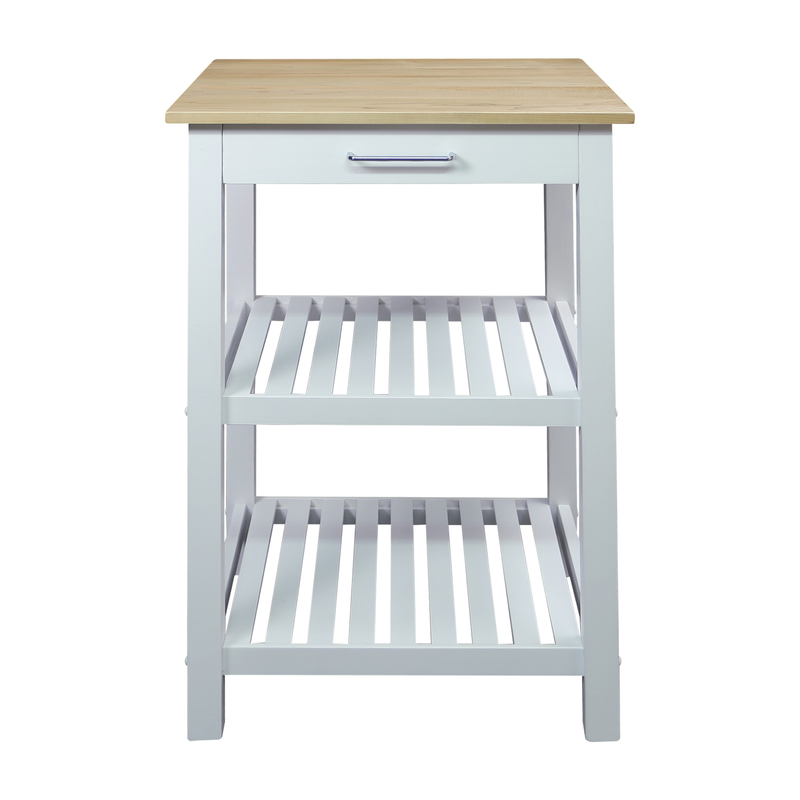 Slim design provides extra counter space and storage without taking up as much space. 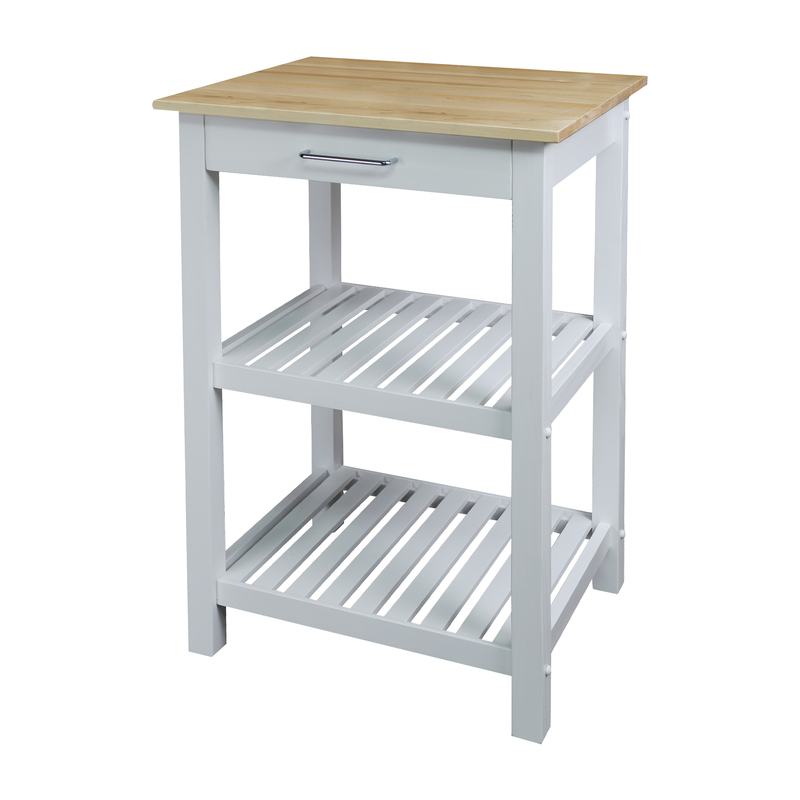 Solid American Maple and solid wood construction superior durability and longevity. Light and easy assembly with all hardware included. 22.75″W x 20″D x 36.5″H, Weight: 29 lb. For more options, you can visit our kitchen gallery by click here. If purchase more than 25 piece and less than 50 piece, we can provide you 15% discount coupon code for this product. If purchase more than 50 piece, we will provide 20% discount coupon code for this product. What’s more, please kindly follow our social media website or check our sales promotion periodically, we may offer up to 20% discount in some holidays. For more furniture selections, you also can visit our exhibition website. We offer products with convenience and function in mind. Challenging ourselves to ask why our belongings can’t be versatile: foldable for easy transport and storage, stackable for space saving, or serve more than one purpose, such as an end table that is also your pet’s home. This is what drives us. Enjoy regular updates on industry trends, home design tips, and all of our best deals and specials at your leisure. Sign up today!